Protect Your Loved Ones From Bed Bugs! Bed bugs are one of the least harmful and known as the most prevalent pest that experts at Chambers Pest Solutions deal with. Regardless of their name, they are mostly found in the floorboards or crevices and will come to your bed if it is occupied. Their bites can result into allergic reactions in humans. At Chambers Pest Solutions, we do understand how frustrating bed bugs can be. Their bites can result into rashes and it is quite visible, and needless to mention about the allergic reactions. They can produce around 4000 “nymphs” and they can quickly spread across great distances. Although there are many DIY products, bedbug infestations can be very complicated to deal with. Fortunately, our experts at Chambers Pest Solutions make use of multi-step methods to remove them completely. 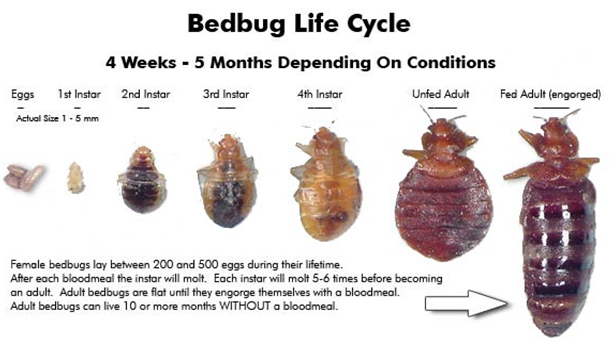 We also make sure to end the bedbug population within the shortest possible time. At Chambers Pest Solutions, our expert team understand the difficulties that come while operating in the place where you are sleeping. However, no matter what process we are using it will be explained. We are very simple and straightforward with our instructions. Our experts also make sure that you know what exactly needs to be done, and we will inform you at every phase. After you give us a call, we’ll quickly call you within 24 hours to schedule an appointment. One of our skilled surveyors will quickly inspect the property and make the best recommendation. Give us a call at (08) 9313 2871 to get a free recommendation.